Yo I feel ya. 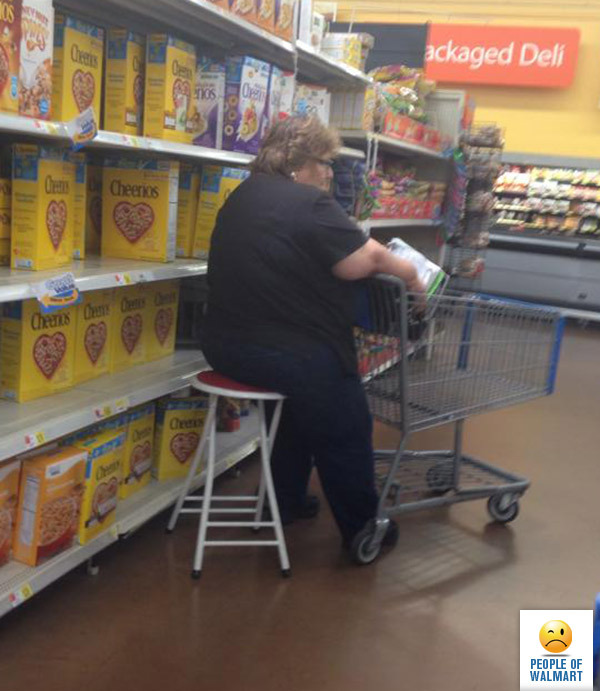 Walmarts are too big these days. Especially the super Walmart stores. So you go ahead and cop a squat, take 5 and get back at those savings when you’re ready! She’s probably just worn out trying to avoid Nemesis. A while ago, when I was totured by heavy backpains because of a hernia, I had a stool just like that becuase i couldn’t walk more tha 100 yards so I took it everywhere I went. Also to the supermarket. At least she’s walking and not riding around on a mobility scooter!